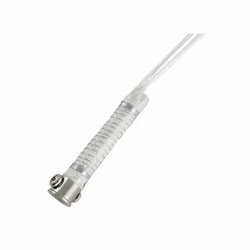 Our product range includes a wide range of heating element for soldering iron. Voltage (V) 3.7 V, 4.5 V, 5 V, 7 V, 6 V, 9 V, 12 V 24 V, 36 V, 110 V, 220 V, 380 V can be customized. Heating Element for Soldering Irons offered by us is manufactured by supreme quality iron and raw material which has been purchased from known vendors. Heating Element For Soldering Iron is often used for installation, repair and limited production work in electronic assembly. Besides, we are offering our range at very convectional prices.